Happy Independence Day all! 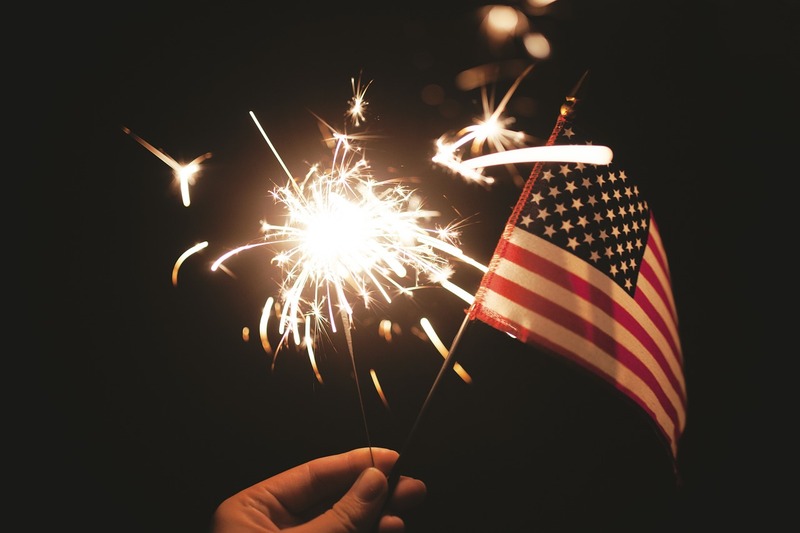 To celebrate the 4th of July, we’ve put together a definitive playlist of some of the best songs that wax lyrical about this beautiful land! Crank up the volume at the cookout! Katy Perry’s 2010 hit Firework raised a few eyebrows for the opening line, “Do you ever feel like a plastic bag?” We can’t say we do, Katy. But when Katy said, “Just own the night like the fourth of July”, we felt that. Not only does it reference the best day of the year, it’s also pretty catchy. Pour one out for Tom Petty this Fourth, as he sadly left us in October 2017. His musical legacy lives on and American Girl is no exception. It was the second single from Tom Petty and the Heartbreakers’ debut album, fittingly recorded on July 4th 1976 for the bicentennial. It’s been covered a bunch of times by the likes of The Killers, Pearl Jam and Taylor Swift. Before her twerking and short blond hair days, Miley Cyrus was a Disney superstar who was sweeter than candy. In her Hannah Montana heyday, Miley released the anthemic Party in the U.S.A. In the track, she talks about moving to Los Angeles, how nervous she is at being far away from her hometown. All is not lost though, as she hears a Jay Z track and she knows she’ll be just fine. American Pie is an instantly recognizable hit; it’s mammoth at over eight and a half minutes long, jam-packed with lyrical content. The day the music died, in the February that made McLean shiver refers to the devastating plane crash in 1959 that killed musicians Buddy Holly, The Big Bopper and Ritchie Valens. Last year, the original recording was selected for preservation in the National Recording Registry by the Library of Congress for being significant – culturally, lyrically or artistically. Born in the U.S.A. completely changed things for Bruce Springsteen, catapulting him into a new audience of listeners. The album is one of the best-selling albums ever, with 30 million sold and it received an Album of the Year Grammy nomination. The song discusses the effect of the Vietnam War on Americans. Originally a poem written in 1893 by Katharine Lee Bates, an English professor at Wellesley College. Ray Charles would cover the song in 1976 to celebrate the bicentennial of the United States, giving the song a more current and soulful feel. There have been efforts over the years to give the song legal status as a national hymn or anthem, equal to The Star-Spangled Banner. RuPaul Charles, the host of RuPaul’s Drag Race, never misses a good marketing opportunity. In March 2017, RuPauls’ eleventh album, American, was released to coincide with the debut of the ninth season of Drag Race. The album, and single American, were inspired by the 2016 Election. As always with RuPaul, it’s a club classic! If you’re headed to the beach this Fourth, you’ll need to play Surfin’ U.S.A.! It was ranked the number one song of 1963 by Billboard – it may be old but it’s gold. Brian Wilson added surfing-focused lyrics to Chuck Berry’s Sweet Little Sixteen, name checking some beautiful spots to grab a board and catch some waves. Whatever you’re doing today, we hope you enjoy celebrating the Fourth of July! Why not build your musical collection by buying CDs from Decluttr Store? Shipping is completely FREE!